I am working on some ideas for work that will be part of an exhibition in Coventry cathedral in the spring of 2018. We have two plinths each 40cm x 40 cm. I am thinking of having one in colour using the colours of the Piper window and one very pale with natural colours that will work with the beautiful surrounds of the chapel we have been allocated. We created a quiet calm space for our Quinary exhibition at the London show. We had some wonderful visitors and extraordinary comments about the work. All new work this show now moves on to Harrogate. Our next challenge awaits us – we have work to make for the wonderful Coventry Cathedral in the spring of 2018. 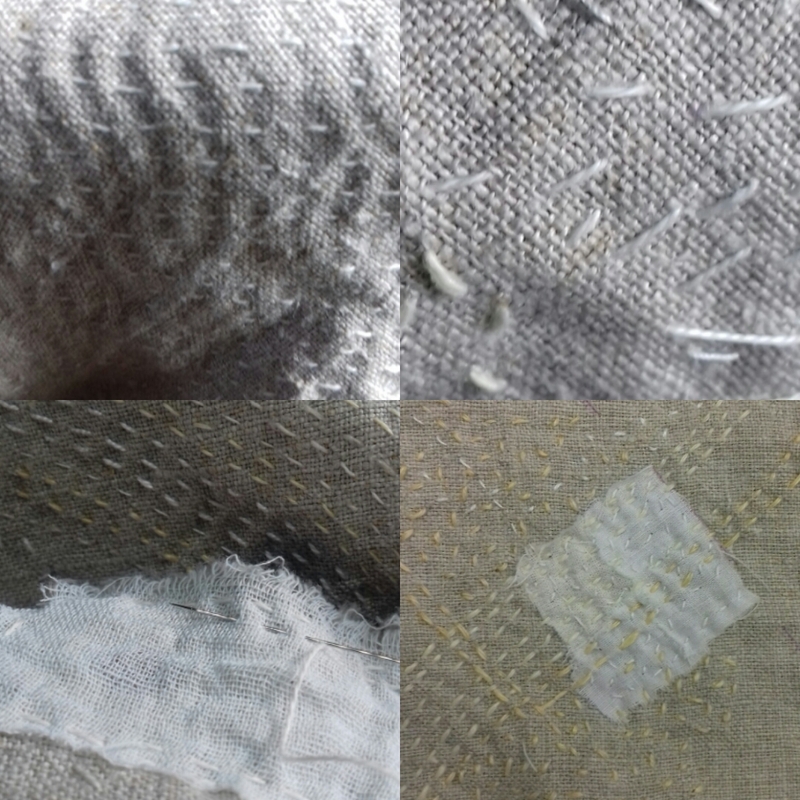 I am challenging myself with some tapestry weaving and hand stitch. 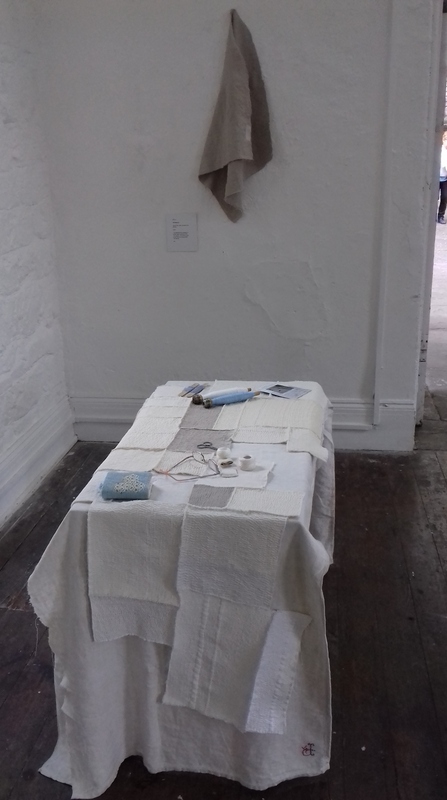 This my quiet corner in an old mortuary chapel with the Quinary group exhibition. I am reading Agnes Martin Her Life and Art.